Ever since I was a young kid I have been heavily influenced by music in movies. It was from Harold and Maude that I first discovered Cat Stevens. My early fascination in country music came when I watched Urban Cowboy and was first introduced to Bonnie Raitt and Don Henley. And I've loved soul and r&b for as long as I can remember but when I heard Ohh, Child by the 5 Stairsteps in Boyz in the Hood, that song resonated with my childhood. Over the last two years I've been working in the world of music supervision and film production. This is a narrative short film about a young mother who uses the outdoors as inspiration to rediscover herself after splitting with her partner. I had the pleasure of being the music supervisor for this film. Julian Price - Envisioning Community. Investing In People. This has to be one of the most amazing projects that I've ever been a part of. Julian Price was a philanthropist that helped to develop downtown Asheville, NC. Using all the music from the Asheville Symphony Sessions, I was the music supervisor for this documentary that pays homage to a humanitarian that is truly inspiring. This documentary has been making the film festival rounds and picking up all sorts of awards. 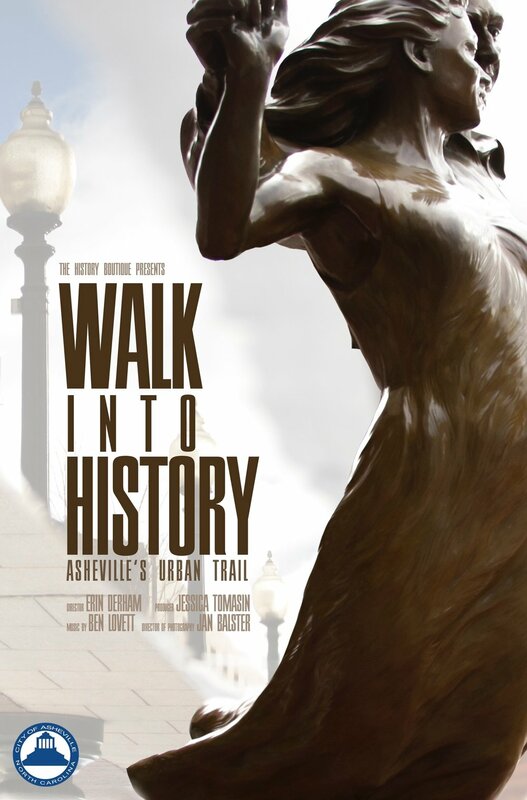 The Asheville Urban Trail has often been called Asheville's "museum without walls." Started by a small group of citizens interested in helping revitalize downtown, the Urban Trail consists of thirty stations of bronze sculpture around downtown. Each station has a plaque illuminating some of the very interesting history of downtown's development and the various notable people who once lived here. I produced this documentary that tells how this group of citizens came together to turn their idea into reality.